Remember Invisible Ink, Secret Decoder Rings, Silly Putty, And X-Ray Glasses? Every once in a while a wave of nostalgia overtakes me and I begin to remember fondly some of my favorite novelties from childhood. Some of these things are still around. Games we used to play like pick-up sticks, jacks and marbles can sometimes be found. Hula hoops are even around in stores from time to time. I know from working in retail, though, that sometimes these things are hard to find in stores today. People would ask for them, though. If we didn't have them at the time, we'd have to recommend checking someplace like Toys 'R Us. 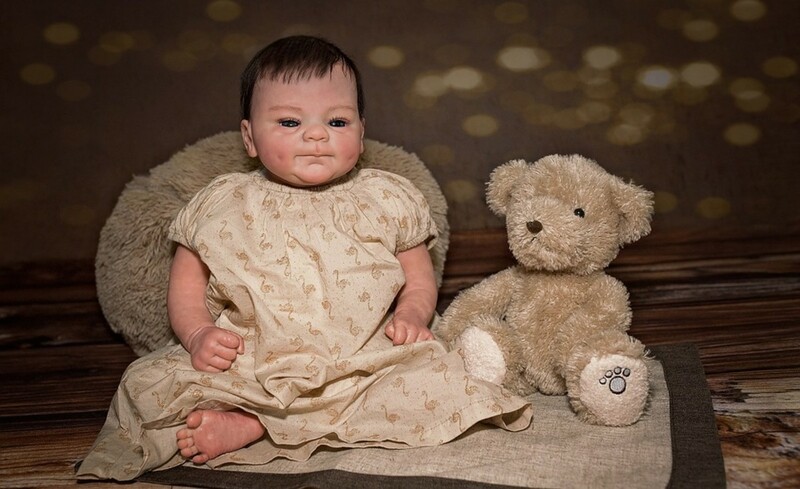 Some things, though, I don't know if they even make any more. As kids growing up in the 1960's, there was no need to spend hundreds of dollars on the latest video game to keep us entertained. Some of the best things we used for entertainment were homemade and can even be made today in place of buying toys. This is just what we did as kids. And really, sometimes those homemade toys were more fun! One thing we used to make was invisible ink. If you're not a spring chicken any more like me, you might remember invisible ink. 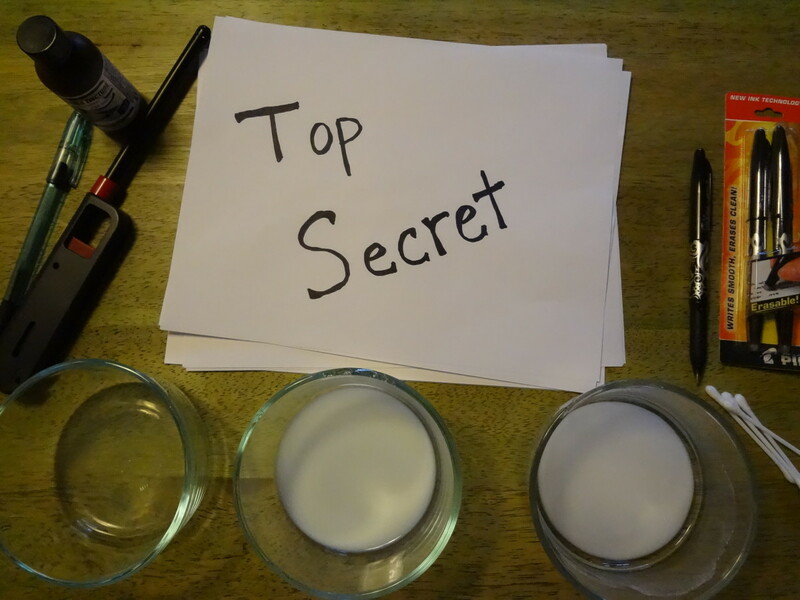 You would use any kind of acidic liquid (lemon juice was usually our choice) and you'd use something like a q-tip or a small paint brush to write a top secret message, or you could even draw a map that would lead to a treasure. The liquid just had to dry so it was invisible to work right. You could make a map and tell your brother it will lead to a fortune just to keep him out of your hair for a while. Not that I ever DID that... OK, maybe I did! 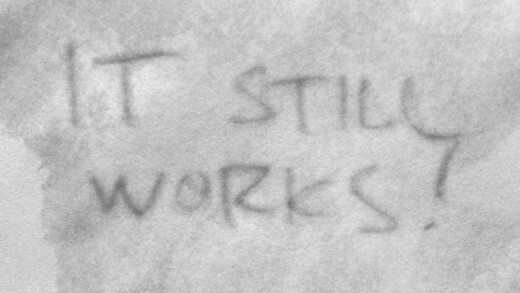 The liquid would dry clearly on the paper and you would use some kind of a heat source to bring out the "secret" message. It was just like being a spy, in a way. You would make up secret messages that only those "in the know" could decipher. You'd take the piece of paper and hold it over a light bulb (a hair dryer might have been a bit safer, but we usually used a light bulb). Within a minute or less, the heat would oxidize the acid and your secret message would magically appear! Other acidic liquids would work for this as well, like vinegar, white wine and even milk. Lemon juice always seemed to work the best though and we didn't get in trouble for using it like we might have if we'd tried white wine! It turns out that invisible ink has been around for many years. One thing I didn't know... it was even used back in the Revolutionary War days. It was also used back in World War II. Prisoners of war who were being held were told to write messages home saying that they were being treated well. 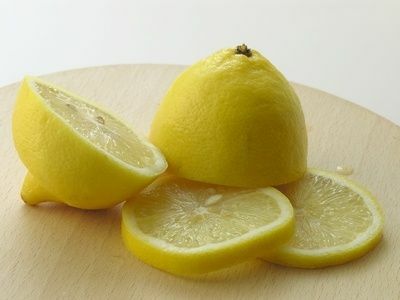 They used urine (they didn't have lemon juice for obvious reasons!) They would write what they were told by their captors, then in-between those lines, they would use urine to write secret messages. The recipients would warm the paper and then the secret messages would appear. This was the origin of the phrase "read between the lines," by the way, which was something else I didn't know! If you're really serious about sending a secret message, you should know that an enemy agent will most likely already know to try heat to bring out the message. 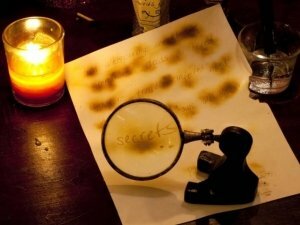 There's another way to use invisible ink that is more secure. This is your mission, should you choose to accept it... and it will self-destruct in 30, 29, 28......seconds. 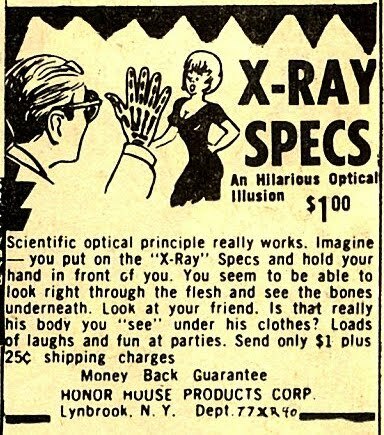 Another thing I remember seeing as a kid were ads for X-ray glasses! You might remember those ads. 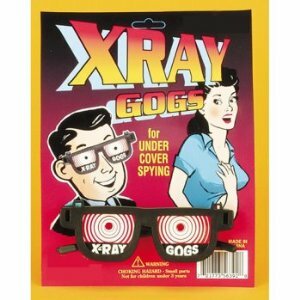 The featured a young boy leering at a pretty teenage girl while he is wearing X-ray glasses. Yeah, I thought that might bring back a few memories! And the funny thing is, young boys really believed by sending in $1.00 or $1.25 that they would be able to see through things. I imagine there were many young boys wanting to find out if they could really see through clothing with those things, imagine their disappointment when it didn't quite happen the way they imagined it! We can only hope that they are not employed today by the TSA.... I remember those ads from the back pages of comic books but I don't think my brother ever sent in for them. It turns out that there are no x-rays involved in these glasses. Because if there were, they would most certainly not be for sale to the general public! There is a reason that dental assistants put that lead apron on you and leave the room while doing an x-ray, there is danger in being exposed to the x-ray! So, what you get instead if you sent in for these glasses was an optical illusion. You see, the glasses were made from two pieces of cardboard with a feather sandwiched in between. That's right, a feather. Something else I didn't know, it seems that feathers have an optical illusion property to them when you hold them up to your eyes. The fronds of a feather are spaced close together. The light refracts off of them giving an illusion of dark and white stripes, giving an appearance that one is seeing an x-ray image of something. If you put a feather in front of each eye, it gives a pretty good semblance of seeing an x-ray even though you really aren't. I can remember as a kid saving up boxtops for things that you'd send for through the mail. Seeing the movie "A Christmas Story" brought back that memory for me. 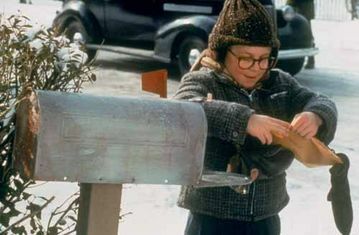 If you remember in the movie, Ralphie saved and saved and mailed those box tops in (I think it was boxtops?) 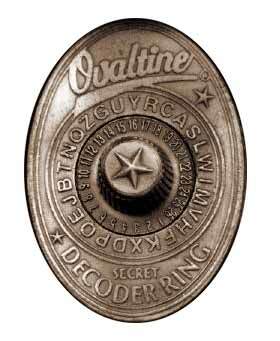 for a secret decoder ring. He got it and locked himself in the bathroom and proceeded to decode a secret message only to get a message like "drink more Ovaltine". Remember that? He was so disappointed to find out that the "secret message" was only an AD for a product! I remember sending in for things only to be disappointed. They would usually turn out to be... crap. OK, so if I was trying to be nice I'd say they were lesser quality than what I had hoped for... in other words...yeah, crap. The whole idea was to get you to buy ten boxes of cereal, about $20 worth, for a piece of crap in the mail. I liked the cereal better that already had the toy in the BOX. But, I do remember on more than one occasion pouring out the entire contents of a box simply to get the toy... then you had to try to get the cereal back in the box! The sides of the box would stick out, it never went back into the box quite right. The best thing to do was to blame your brother... and you didn't hear that from me if anyone asks. Shhhhh. Anyone else remember good old Silly Putty? They still make the stuff! It's not the same today as what I remember. It comes in colors now, and I think some of it even glows in the dark these days. But I do remember that we could not read the Sunday "funnies" (comics really, but we called them funnies back then) without Silly Putty. It was a tan-pinkish color back then. You would squish it onto the page that had comic pictures, and you would lift the Silly Putty and you would see that there was a perfect mirror image of the comic! From there, you could bend it and stretch it, make the comic character look any way you wanted them to. 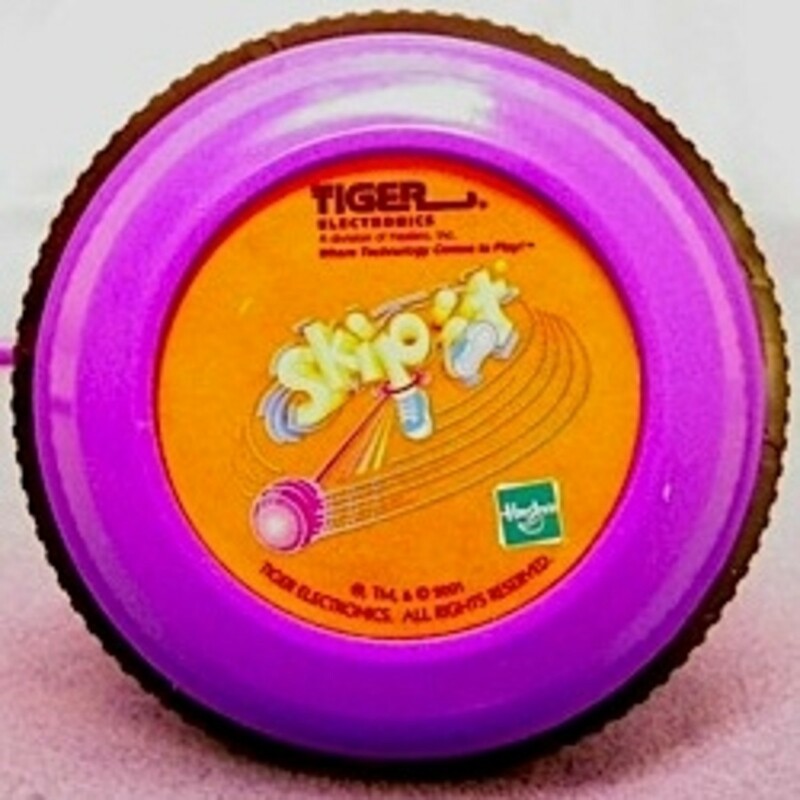 This stuff entertained us for HOURS! 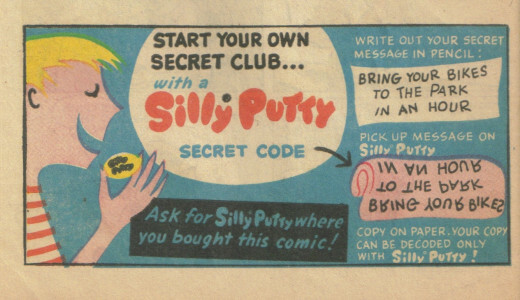 I've heard that Silly Putty doesn't pick up comic pictures any more. 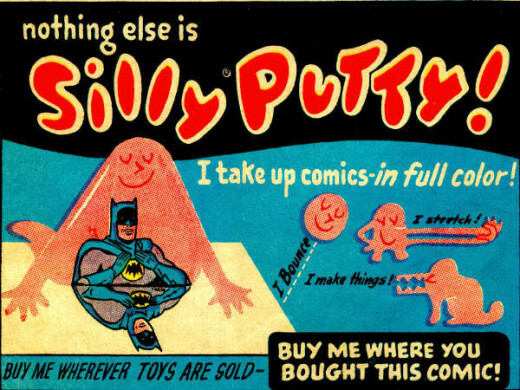 But it isn't due to the Silly Putty, it is due to the ink that comics are printed with these days. They just had to spoil the fun, didn't they? Not only do we get BAD NEWS in newspapers these days, the comics can't even be "lifted" any more using Silly Putty. What is this modern world coming to? Silly Putty has to be some of the coolest stuff ever invented. I mean, it bounces when you drop it, you can snap it into pieces, you can apply pressure and bend it. 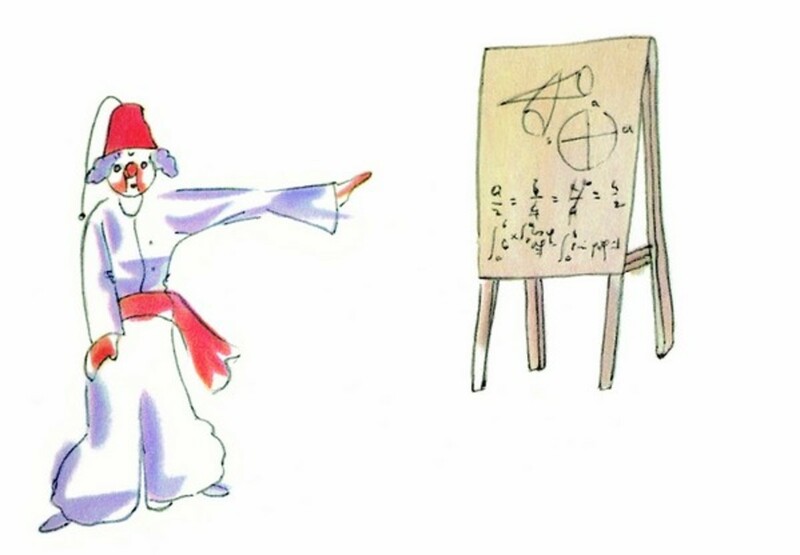 I've even heard that aspiring chemists have written papers about this stuff! 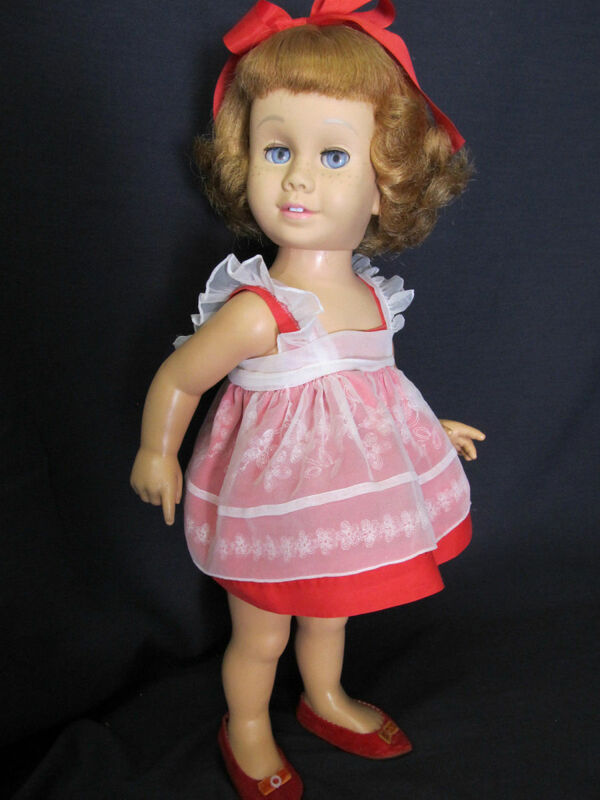 It was first sold in 1949 as a novelty in a toy store. Since 1950, over 300 MILLION plastic eggs containing this stuff have been sold. What other kind of product that is nearly useless can boast such an amazing sales record? It is the source of much irritation for parents when this stuff gets trampled into the carpet. Binney and Smith now owns the rights to Silly Putty, and believe it or not, they have instructions at crayola.com for removing it from carpets. A few fun facts about Silly Putty, did you know it went up to the moon with the astronauts from Apollo 8? And, at the Smithsonian's Museum Of American History there is a display featuring products from the 1950's that Silly Putty is included in! They included it because it is an example of early entrepreneurship, longevity and because it is just a creative invention. I think I'm going to go play with some Silly Putty now, wearing my "X-ray" glasses. And by the way, the rest of this is written in ____________________ . Just don't hold your computer up to a light bulb to try to decipher it, I don't want to be responsible for any melted computers! I hope you've enjoyed this trip down memory lane as much as I have! Now where did I put my secret decoder ring? RALPHIE!!!!!!!!!!!!!! I loved silly putt as a kid. It was such fun when using the Sunday comic strips to capture those funny strips. My grandkids love the new sparkly kind that is out now. Thanks for the trip down memory lane, it as enjoyable. Well, I'm no spring chicken and the invisible ink activities are new to me. Sounds like fun. I heard of the others. The good ole days of the pre-electronic days are impossible to beat (at least, that's what we believe). Hi Dahoglund! I agree! I think toys did have more imaginative appeal in the past! Another type of fun ring that I remember is "Mood rings"... they would turn color according to your current mood. I think they REALLY worked because of the temperature of your skin, but maybe that was just me! Ha!! I used to have freezing cold hands a lot of the time and mine would stay the same color so that was what I assumed. Thanks so much for reading and for commenting! 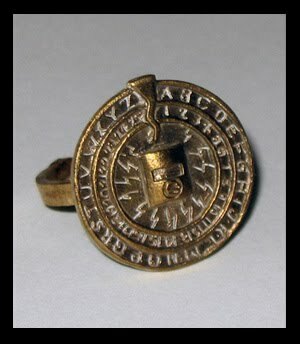 I run across references to "secrret decoder ring" but I do not recall them. There were rings of one sort or another in cereal boxes but I don't recall that one. Toys back then were not only cheaper but, I think, appealed more to the imagination. Thanks so much kashmir56, so glad you enjoyed this! :) Thank you for your wonderful comment and for voting as well! Thanks so much algarveview! Invisible ink was definitely fun to use, I don't remember the messages either, if we were able to see them we would most like laugh! :) Thanks for commenting! You're welcome thranax, this was a fun one to write! I knew it would be when I started it! :) We usually got silly putty in Easter baskets, too. That must be almost like a tradition because I seem to see it in the Easter aisle in stores. Thanks for reading and for you great comment! Thanks shining! :) I remember clackers, but I don't think we ever had them. Maybe the neighbor kids did! I DO remember those paddle things with a string and a ball, too. They weren't quite as dangerous! 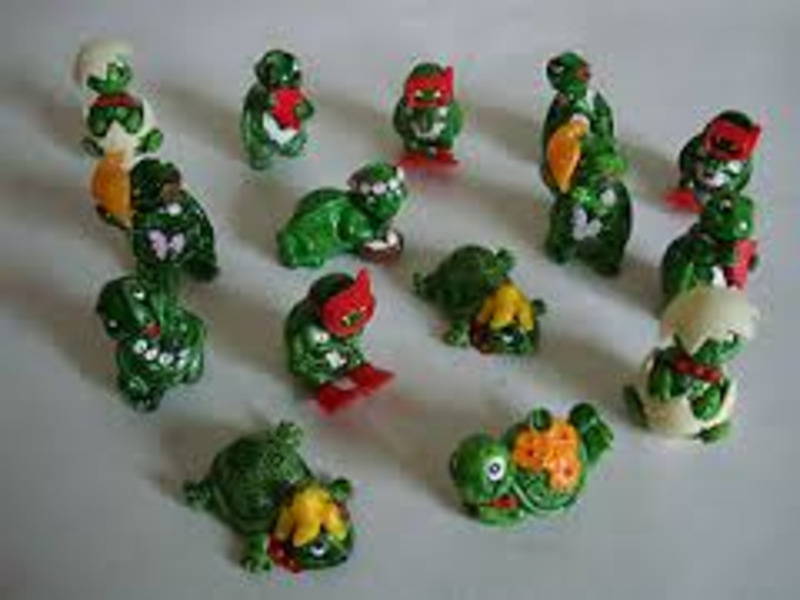 I used to collect marbles just because I thought they were pretty rather than playing with them. Thanks for stopping by! :) Much appreciated! Hi Kathy, I really enjoyed your novelty hub i remember all these things you have written about within this well written hub ! Well done ! Great Hub!!! One of my favorites. I enjoyed the walk back through secret decoder rings, silly putting. I was familiar with the use of invisible ink in WWII and I found that fascinating as well. A Christmas Story is one of my all time favorites as it is so true to the way life was. SOme of our toys were down right dangerous. Do you remember the clackers? They wher two huge marbles approx. 2 inches thick and you swung them back and forth to hit against each other? Glad they got rid of them. All of these things were great as a kid! I really loved playing with my silly putty, I would always get some for Easter in the basket when I was little. One of my favorite things to do was take it and pull newspaper print off onto the putty (although it made the putty dirty). 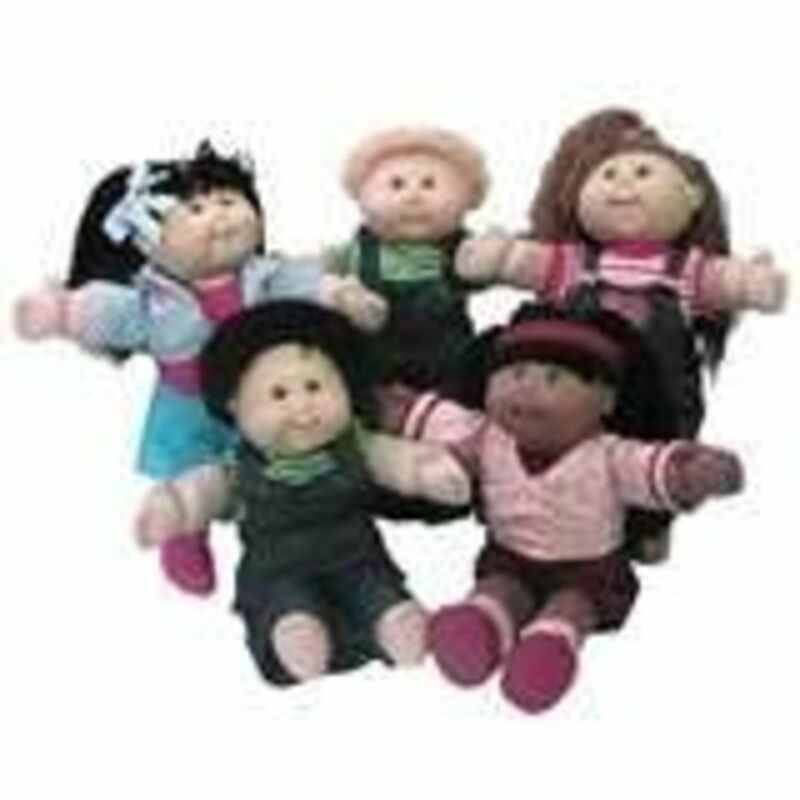 Hello, Kathy, great hub, it was a nice walk down memory lane... Obviously we also had our very own secret club, with much invisible writing, which we did with lemon (I can't seem to remember what we wrote about...) and secret codes and the likes... Very nice remembering all this... Voted up and interesting and sharing!